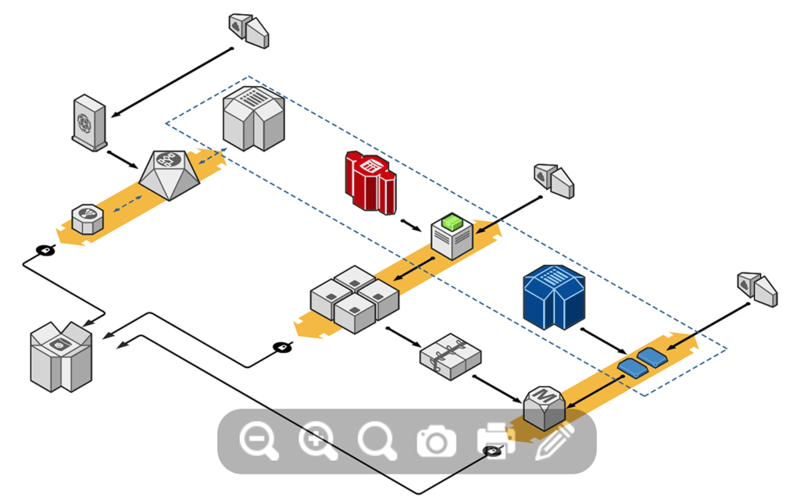 Embed diagrams from Draw.io in Nuclino. Draw.io is a web-based diagramming software to create flowcharts, mind maps, network diagrams, org charts, mockups, and more. To embed diagrams from Draw.io in Nuclino, create a public link for a diagram and paste it inside the editor of any Nuclino item. This app is enabled by default for everyone and does not require configuration. Visit the Draw.io website to learn more about this app. Get help and support for this app via the Draw.io support.